Sidcup pump escape from the seventies. I worked round the corner from the station, still remember the howl from the engine as she took off!! New wheels, escape, windows and detailed to make this into a really good model. A very good improvement of that basic toy. Added by Ian Scott on 30 April 2012. Yes it's the escape from the Regent.It came surplus after a messed up conversion. Added by John Spiller on 02 May 2012.
how easy is it to get hold of this model? Added by Stevie Murray on 06 May 2012. I have had this model for a few years. I bought it at a swapmeet. I did see it on E Bay recently, I bid on it but did not win. It's an old model so I would think it was difficult to get. Added by John Spiller on 07 May 2012. Can you tell me where the wheels came from. Thank You. Added by Michael Shanks on 13 May 2012. The wheels came from Road Transport Images. This company I can recommend I have no connection except as a satisfied customer. Added by John Spiller on 14 May 2012. Added by Bristol Bob on 21 May 2012. I bought this model from ebay. Looks stunning. What is the base model for this conversion please ? Added by Ian Morison on 11 December 2015. 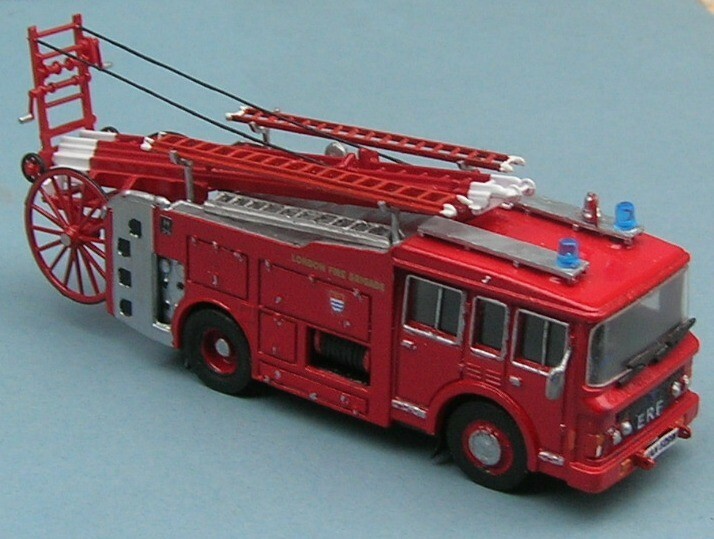 I would like two of these 1/76 scale ERF fire appliances, however, when I type 'Tuf Toys ERF fire', into Google, allI can find is the Dinky Toys ERF, which is larger than 1/76 scale, and the Corgi Juniors ERF, which is smaller than 1/76 scale. Any ideas where I might find two? Added by Bill Edwards on 12 March 2018.